Sumners Heating & Air, Inc. is a fully licensed operation with NATE certified technicians on staff. We are a factory authorized dealer that guarantees 100% satisfaction in all that we do. 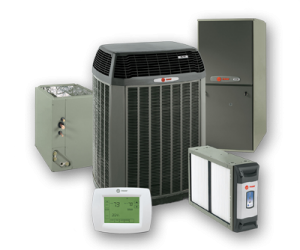 We offer residential and commercial services to ensure that your needs are met with your air conditioning / HVAC system. Sumners has been in business since 1988 & locally owned & operated by Roy Sumners we proudly serve all Dallas, Tarrant, Rockwall, Collin, Kaufman & surrounding counties. We are an accredited member of the Better Business Bureau since 1991, member of Air Conditioning Contractors of America. We pride ourselves in customer satisfaction, quality work and quality products & equipment. We provide commercial & residential service, New & remodel construction work, high-efficiency unit replacement, duct cleaning, air balance, duct sealing, attic insulation, sheet metal manufacturing Kitchen vent a hoods, exhaust systems & air filtration.